I don't have a femme fatale story. I should but I don't. I've mentioned that I am writing a pile of short stories at the minute. 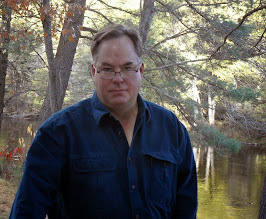 I'm in the "content creation" mode and will switch to edit, polish, rewite, and tune (EPRT) this winter. K through 12 - the story of a normal (?) high school sophomore from an unconventional family (mom - spy, dad - mad scientist). Obits - the exploding chicken detective case. Murder (though unconventional) as vendetta. Rateater - a false flag specialist. Intel guy making a mint in the commercial sector. Denis Ivonovich ( or Job's Tears) - the truth damns a man but the lies of his emotions are a salve to those around him. I have the antagonist in Obits but she doesn't appear int he story. She as the murderer is more of the plot device than a character. Could be changed - but it then the story isn't about the femme. I could use a vicious beauty. I know next to nothing about writing women. Browning Hi-Power ? - check. I'm on the way. I'll have to work on a story where the cool calculated use of force gets her what she'd like. I'll give her a man's sensibilites (because I don't understand those of women) and send her into the target rich world of victims. Motivation (used for illustration, without permission) : I believe this is from _The Big Sleep_. 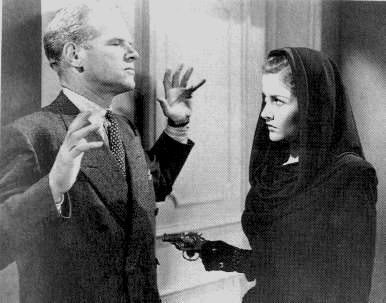 Martha Vickers is Carmen Sternwood holding the gun. Bogart comes over and takes it away from her. 1946. Warner Bros.
Carmen wants something and is direct about it. Of course, my femme doesn't bargain. She'd shoot then search.